Watching a film, or I should say successfully watching a film, usually requires a willed suspension of disbelief. I’d say the same thing goes for making a film. In spite of technology that assists creative artists in getting more technically credible results with less work and for less money than in the past, making a film is still such an illogical process that successfully completing one requires a faith that passeth understanding. And off they go, abetted by a kindly grandma and her vintage auto (and its attendant eight-track player, and John Dankworth tape, even). Their exchanges, given Emily’s emotional blockage, are predictably prickly. “You make me feel stupid,” Arden helplessly protests to Emily at one point. “Sorry … ” Emily responds, “that’s the nicest thing anyone’s said to me.” I guess the point where I lost patience with the movie was when the duo finally made it to the asylum, and Arden decided to distract the inmates by doing an amateur pyrotechnics show on the roof of the drab facility. Your mileage may vary. 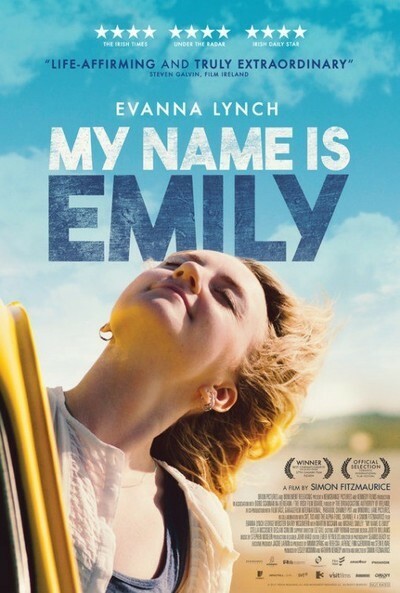 What all this has to do with my ruminations at the beginning of the review is this: “My Name Is Emily” was made under more-arduous-than-usual filmmaking circumstances. Its writer/director, Simon Fitzmaurice, is afflicted with motor neuron disease, a condition similar to ALS, which is famously suffered by physicist Stephen Hawking. Mr. Fitzmaurice is confined to a wheelchair and can write and communicate with the assistance of a computer that he interacts with via the movement of his eyes. So, for him to have completed this feature, almost a decade after a diagnosis that at the time had him living for only another four years, makes “My Name Is Emily” a miracle in a way that most other movies aren’t, even if you allow that all successfully completed movies are some kinds of miracles. It also means that if you’re a human being you have a rooting interest in Mr. Fitzmaurice. What’s the line between “I wish I liked this movie better?” and “I wish this movie was better?” That’s a knotty question. I will say that one aspect of this film for which I have unqualified enthusiasm is the way Mr. Fitzmaurice and his cinematographer Seamus Deasy shoot the various Irish locations, and how they place the characters therein; the effect is often beautifully picturesque without being in the least bit touristy. The sense of place is so palpable you can almost feel the raw wind going through the characters’ hair in the seaside-set scenes. It represents the movie’s most seductive achievement.